If you need a swing set that will accommodate your kids and allow them to bring their friends for fun moments, then the Step2 Naturally set is the one or you. The swing set will look amazing in your backyard. Interestingly, despite having many play options just like other larger playsets, Step2 Naturally is a cheaper option offering similar benefits. For example, it has a 2-storey playhouse a slide, a rope climber, and a basketball hoop. 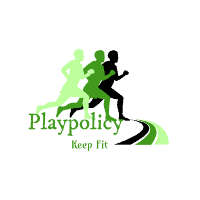 Step2 Naturally can allow 10-12 children on the various play options it offers. For example, the 2-seater glider and the 2 swings will provide adequate fun for your kids and their friends. Despite offering numerous options, the playset is created from durable materials that will last long with appropriate safety. However, the playset observe the guidelines or maximum weight allowed or each play option. For example, every swing should hold a maximum of 75 lbs for best operation and fun. Further, your toddlers can grow into the swing set options. For instance, the toddlers can use the picnic areas before growing into using the ladder. Durable even with extreme weather conditions.